The barbecue world's always been pig-headed, and we're not just talking whole hog. It's a male-dominated industry, but amid all the fatty testosterone there's actually a ton of women cranking out top notch 'cue and working behind the scenes to spread the gospel of smoked meat. To celebrate the more feminine side of the pits, we're spotlighting 12 women who've made an unquestionable imprint on the industry through their cooking, writing, and general meaty leadership. These are the women who keep the sausage fests literal. If you live in New York City and enjoy quality barbecue, you owe Elizabeth Karmel a debt of gratitude. Her work as the executive chef at trailblazing Hill Country Barbecue Market helped herald today's Big Apple fascination with brisket, but recently she's proved that she's more than just a one-meat pony with her new business specializing in mail-order whole hog via CarolinaCueToGo.com. Her meaty opinions also appear in the bi-weekly Associated Press column "The American Table," and you can get to know her sweeter side through the forthcoming cookbook Steak and Cake. The Kansas City Barbeque Society is the real deal. Nearly 500 barbecue competitions are sanctioned on its rules. That makes 500 barbecue competitions that would be lawless sausage fests without Carolyn. She entered the world of meat smoking with a barbecue sauce company, found a home on the competitive circuit in the late '70s, won the ribs category in the American Royal in '82, then decided to start a little club for all her crazy cooker friends. Nowadays those friends number over 21,000 members. She still serves as executive director to this day, prefers pork to beef (pulled, with ribs as a close second), and the name of her favorite barbecue joint in the world has been redacted because she takes her job very, very seriously (and doesn't want to hurt any feelings!). When Helen first got into the barbecue industry 30 years ago, she had no idea it'd become her livelihood, but she's loved every minute of it. Before she had a restaurant bearing her name, Helen spent 10 years learning the trade, then stepped away from the barbecue world. But when a new owner took over and needed someone with expertise on the pit, she came back to take charge. That was 18 years ago, and ever since she's been cooking things the old-fashioned way: all hickory and oak, no nonsense. Pulled pork, ribs, the seldom-seen smoked bologna, and the occasional smoked chicken round out the menu. Unlike many barbecue operations, Helen's family isn't a big part of the restaurant, but her daughter will come in to help if she really needs her (but not without complaining about her hair smelling like smoke). It takes a village to run a barbecue joint, but oftentimes the ones who're rubbing the meat get all the credit. But when it comes down to the day-to-day operations of the ragtag Mississippi outfit The Shed, there are few people as important as Brooke and Linda Orisson. At the restaurant, Brooke serves as the logistical point for her brother's left-field ideas and balances the books. Out on the competitive circuit, time-management is her focus, which is crucial when turning in your meat a second late means disqualification. But at the end of the day, she's just as happy working the line or being up to her elbows in a whole hog. Her mother's responsibilities center around upholding the family image. Marketing, branding, whatever you want to call it, Linda's ensured that The Shed looks and feels like The Shed. 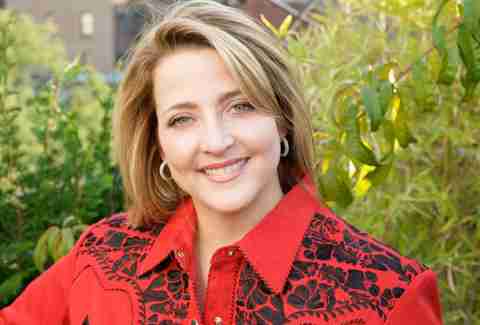 The hard work as paid off, and in addition to running a restaurant that can feed up to 8,000 people a week and helping win the biggest competitions in the sport, she's recently ascended to the position of president of the National Barbecue Association. From back in the days when her father would bring home paper-thin sliced meats from Benny's Bar-B-Q in Kansas City, Karen Adler has always loved barbecue. 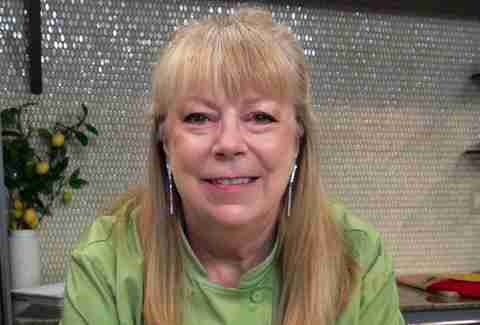 She entered the world of smoked meat in 1988 with Pig Out Publications, her cookbook imprint that published the KCBS's very first book, The Passion of BBQ. 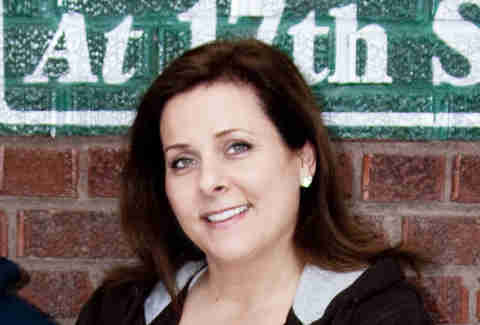 Today her company offers over 250 cookbooks, a dozen of which she's co-authored herself. 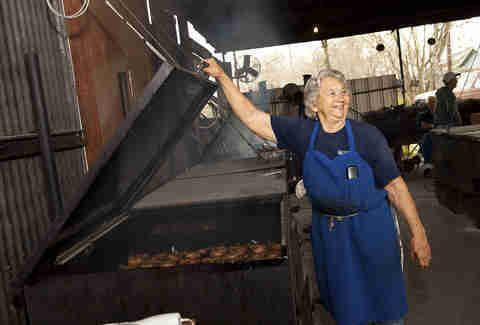 Saturday mornings, you can find Tootsie Tomanetz arriving at Snow's BBQ in Lexington, TX at around 3am, just like she has every week for the last 12 years. 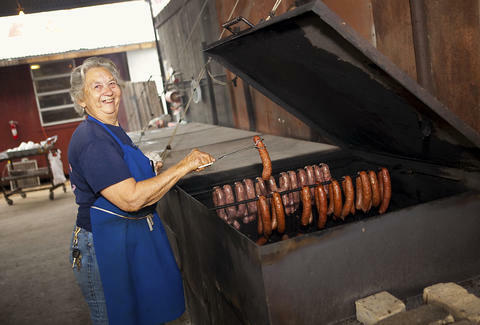 Before taking over the reigns there, she was at City Market for 20 years, so it wasn't out of nowhere that Texas Monthly named the mother of three the best barbecue cook in the state in 2008. The accolade made the restaurant a destination for hungry brisket pilgrims, many of whom would be surprised to know that despite her TX cred, Tootsie's favorite barbecue meats are pork, steak, and chicken. In the world of competitive barbecue, few names are as respected (and feared) as Melissa Cookston. 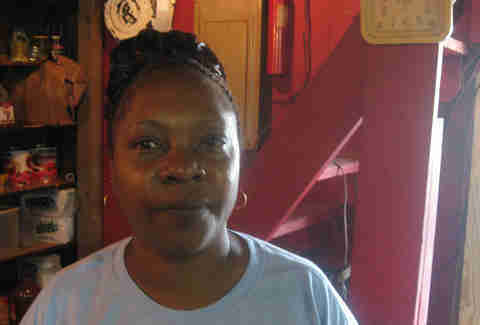 Four whole hog wins at Memphis in May, as well as hundreds of other trophies have earned her a place in anyone's Barbecue Hall of Fame, but in addition to flexing her smoker on the circuit, she's also cranking out nearly 8 tons of barbecue a week at her three Memphis Barbecue Co. restaurants. She's shared her secrets via her Smokin' in the Boys' Room cookbook, so you don't have to be a competitive circuit groupie or make a pilgrimage to one of her joints to taste the goods. 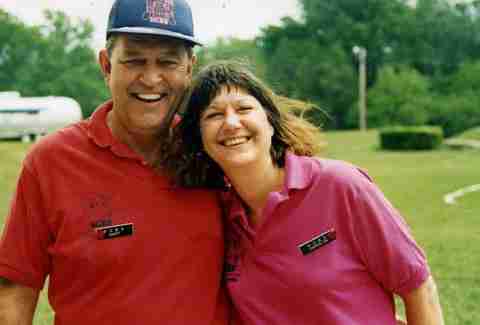 Amy's father, Mike, originally started slinging barbecue at his bar in order to sell more booze, which quickly spiraled into the best barbecue restaurant in Illinois. But as proud as he is of his ribs, he's more proud of his daughter. Amy wears plenty of hats. 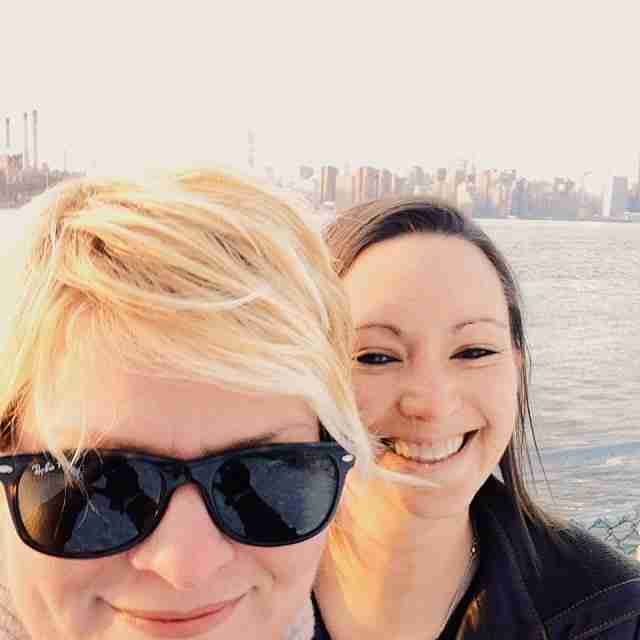 She studied journalism and worked in marketing until returning to the barbecue fold to handle everything from writing James Beard-nominated cookbooks (Peace, Love, and Barbecue) to producing in-demand cooking classes to consulting for brands like Cattlemen's and French's mustard. 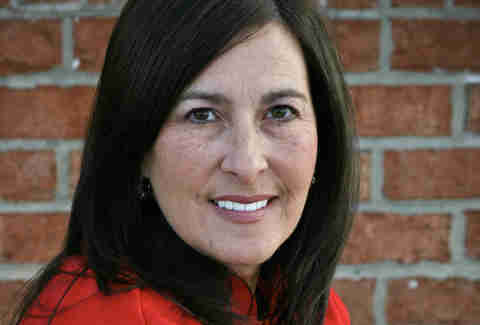 Look for her in the forthcoming TV show Praise the Lard, as well as on bookshelves as the author of Praise the Lard! : Recipes and Revelations from a Legendary Life in Barbecue. 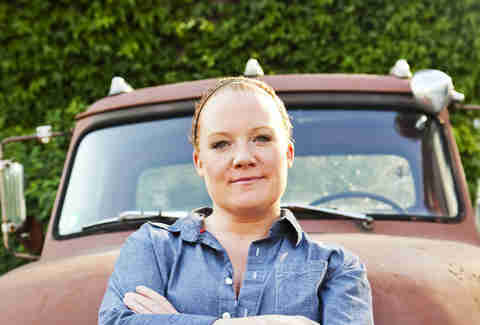 Top Chef isn't known for turning out pitmasters, but after the season one runner-up bounced around from executive cheffing at fine-dining spots to hosting Greek culinary cruises, Tiffani's love of barbecue came to the surface in the form of Sweet Cheeks Q: a central Texas-style restaurant styled after the road trips her family would take to Texas as a child. Nowadays you can find her behind the pit cranking out 25 briskets a day or working on opening a new Asian-themed concept called Tiger Mama. There's no other barbecue family quite like the Muellers. The storied Taylor, TX lineage begins with Louie Mueller Barbecue, which spawned a trio of siblings who've put an unquestionable stamp on the trajectory of Texas barbecue. LeAnn left the barbecue fold to become a professional photographer, but was quickly drawn back in and currently manages operations at La Barbecue, whose quality most critics put on par with the gold standard set at Franklin Barbecue. Helping her with day-to-day operations is partner Alison Clem, who serves as the GM and handles social media, marketing, and is likely to be the one cutting you off a fatty end of brisket to sample. Dan Gentile is a staff writer on Thrillist's national food and drink team. He loves barbecue and women equally, don't ever make him choose. Follow him to tough decisions at @Dannosphere.